Media and Contents: Approximately 232 parts dark yellow plastic; eight parts in brown plastic; large and small polythene caps;white string for tow cable; decals covering three marking options. 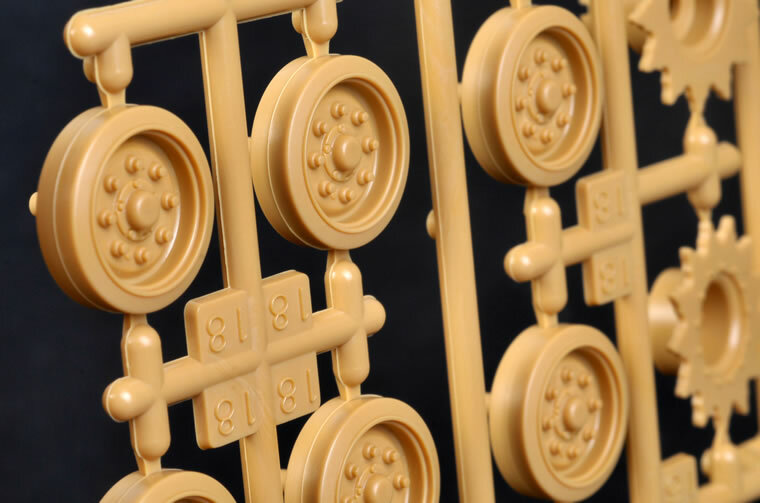 Advantages: Genuine first-generation M51 straight from the box; superb fit; straightforward build; interesting subject; high level of detail; almost all new 2011 mouldings; includes two crew figures. Disadvantages: A few missing or simplified details. Tamiya is not the first company to release a 1:35 scale M51 Isherman. Dragon’s M51 was launched in the late 1990s and received an upgrade in 2007 with new running gear and full-length DS tracks; while Academy’s kit has been available for more than ten years too. 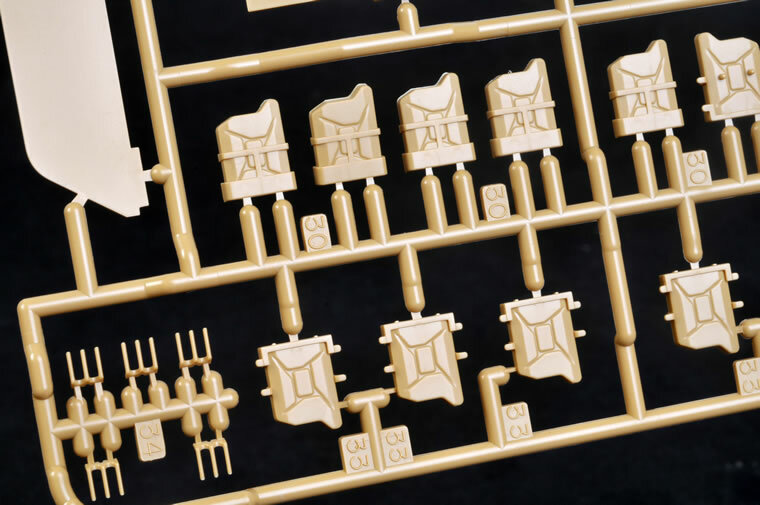 Two key features differentiate Tamiya’s kit from those that have come before. 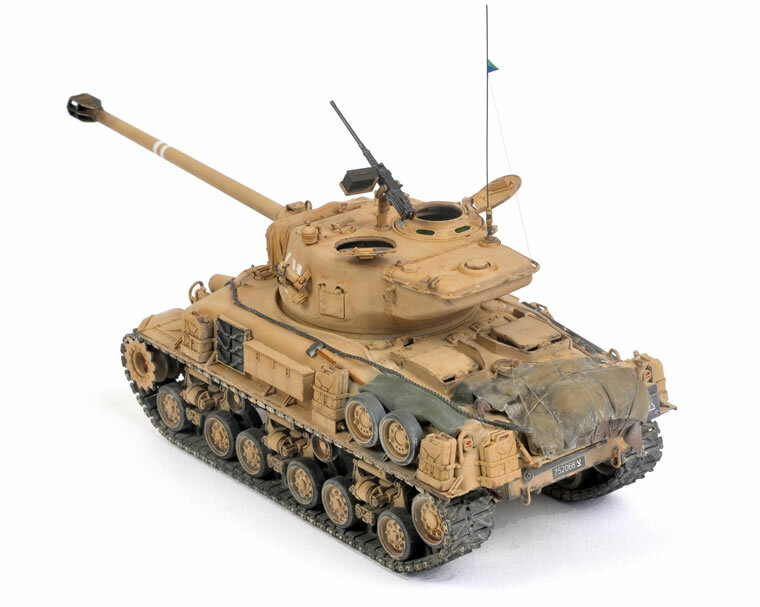 Firstly, Tamiya has moulded a genuine first-generation M51 as used in the Six Day War of 1967, as may be seen by the unique engine deck and stowage configuration. Secondly, Tamiya’s kit is supremely easy to build. 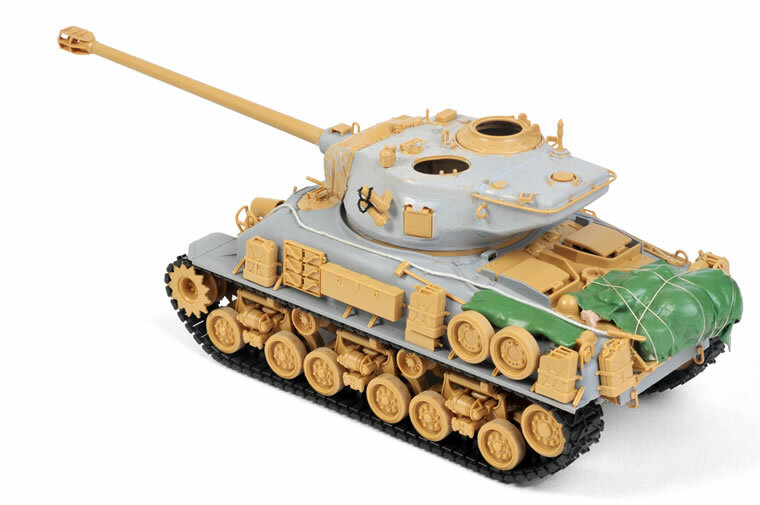 Tamiya’s 1:35 scale Israeli Tank M51 comprises around 232 parts in typical Tamiya dark yellow plastic, eight parts in brown plastic, plus large and small polythene caps and a length of white string for the tow cable and decals covering three marking options. 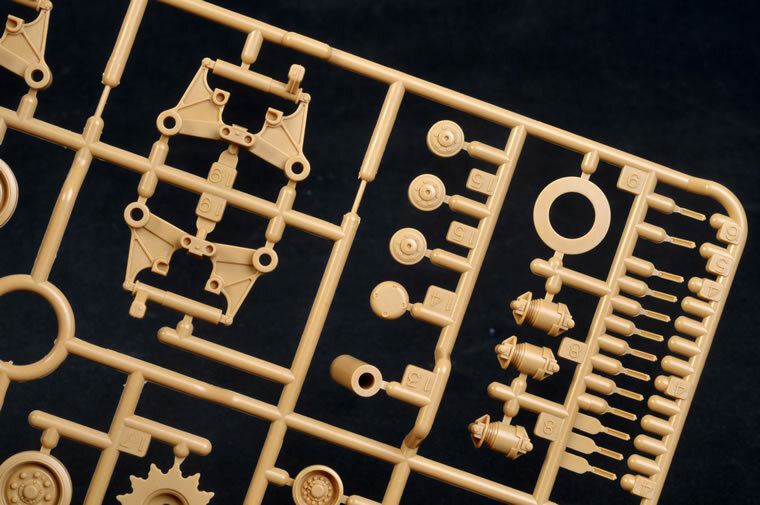 My estimate of the parts is very approximate as I was so excited to receive the kit that I started building it even before I did my customary counting of sprue contents. My estimate is therefore based on the empty spaces on the plastic frames! You might reasonably expect that this kit would share something in common with the Tamiya Shermans that have come before it, but this 1:35 scale M51 is almost completely new. 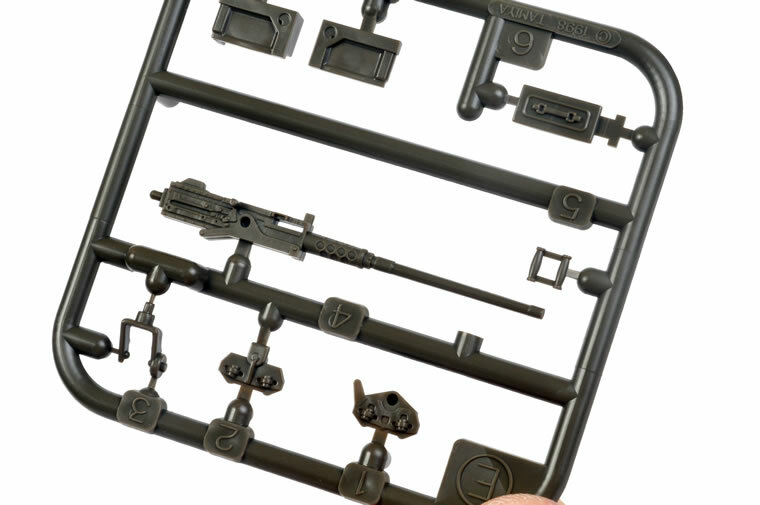 In fact, the only sprue dated earlier than 2011 is the .50 cal machine gun on the turret roof. 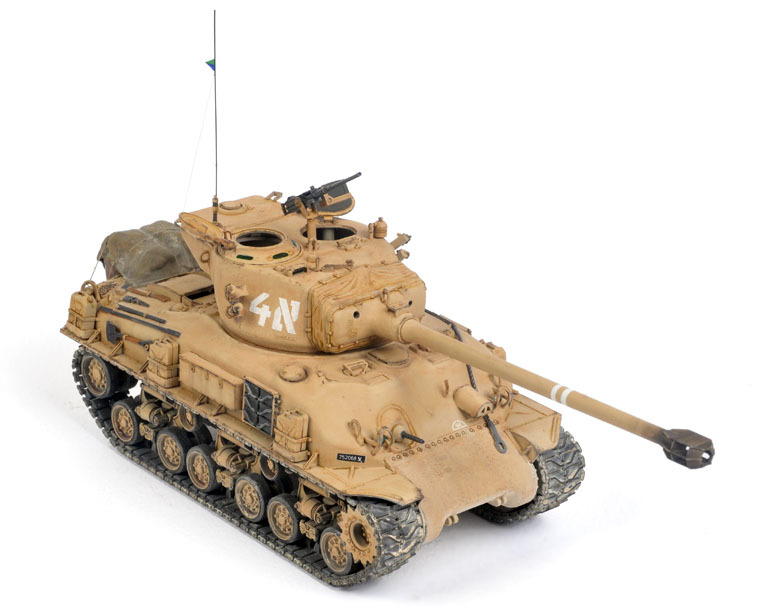 Tamiya’s 1:35 scale Israeli M51 represents one from the first production batch, which was manufactured from 1962 to 1970 and saw action in the 1967 Six Day War. To my knowledge, this is the first mainstream kit of this important variant. 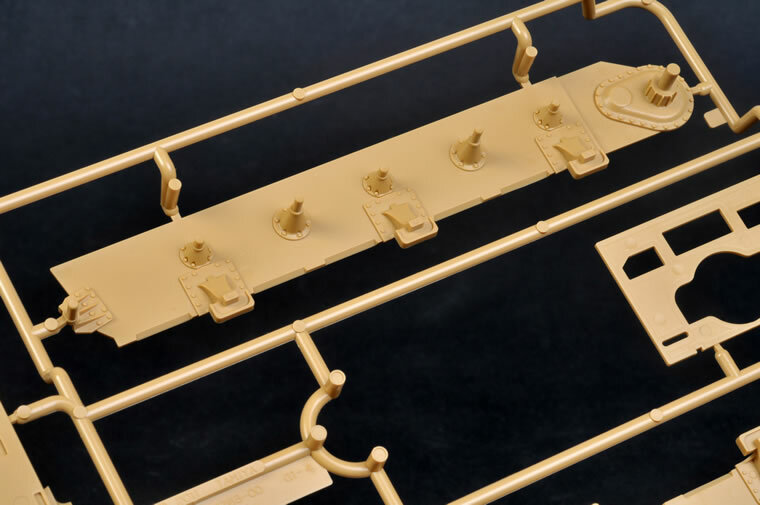 The quality of moulding is everything that we have come to expect from Tamiya. 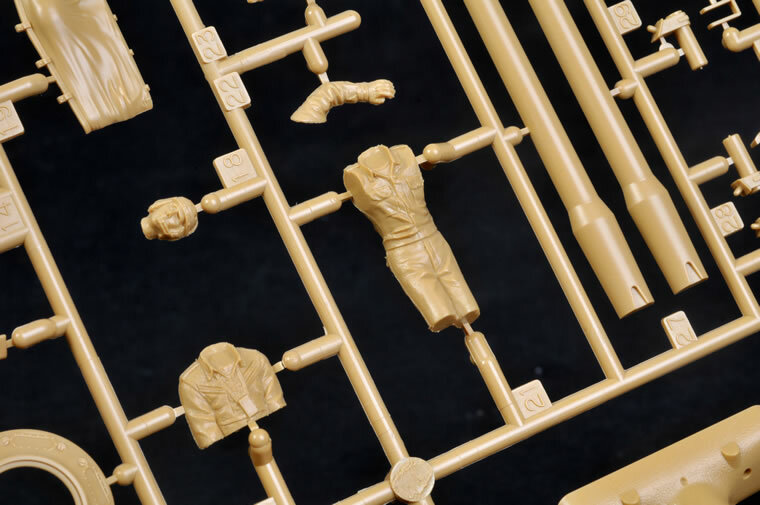 Parts are flash-free, connected to the sprues via fine attachment points, and the surface texture is authentic. 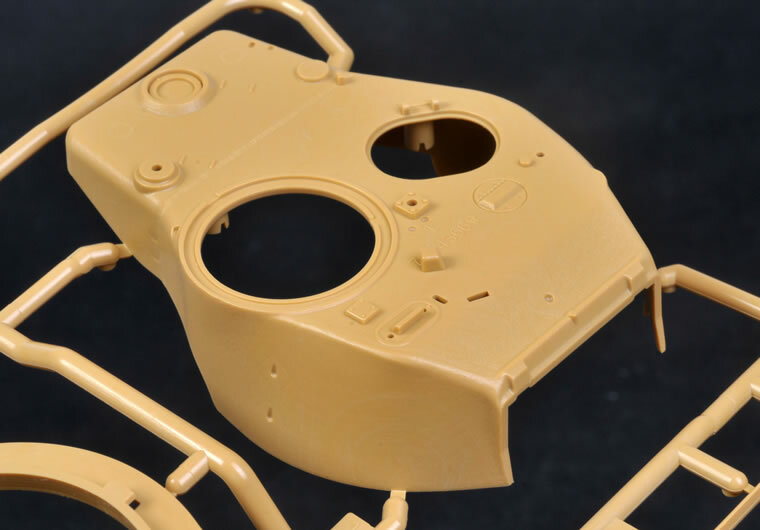 The hull, transmission housing and turret all feature subtle cast texture. There are only a few minor areas that will need attention prior to construction. There is a raised centreline seam around the tyre of each road wheel, and the centre of the turret hatch interiors feature a faint ejector pin circle. Interestingly, the lower hull is supplied as a “flat pack” with separate sides, floor, back and engine bulkhead. 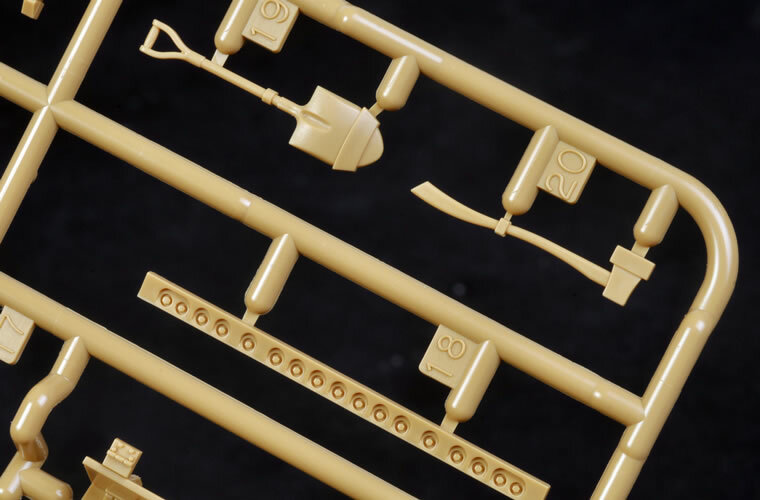 Of even greater interest are the cutouts in the engine bulkheads, which would allow for the installation of interior detail, either after-market or a later Tamiya release. The HVSS suspension units are nicely detailed but delightfully simple to assemble. 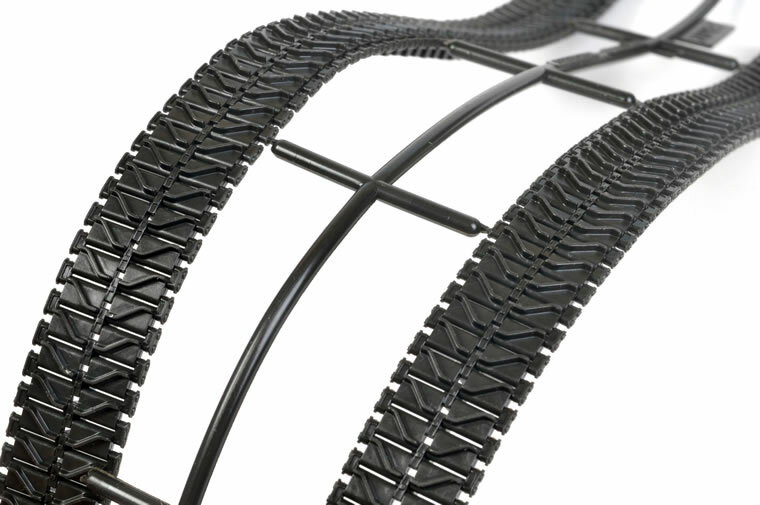 There are only eight pieces per unit, including the four road wheels. The compromise is lack of articulation – the running gear can be posed any way you want as long as it is flat on the ground. 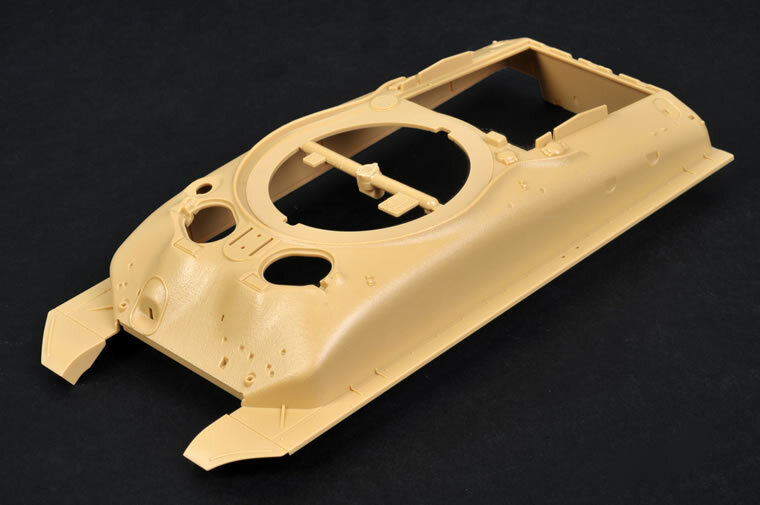 The upper hull is moulded with separate hatches and engine deck, so we may see different versions of the M51 from production batches 2 (1970-1975) and 3 (manufactured until the 1980s). 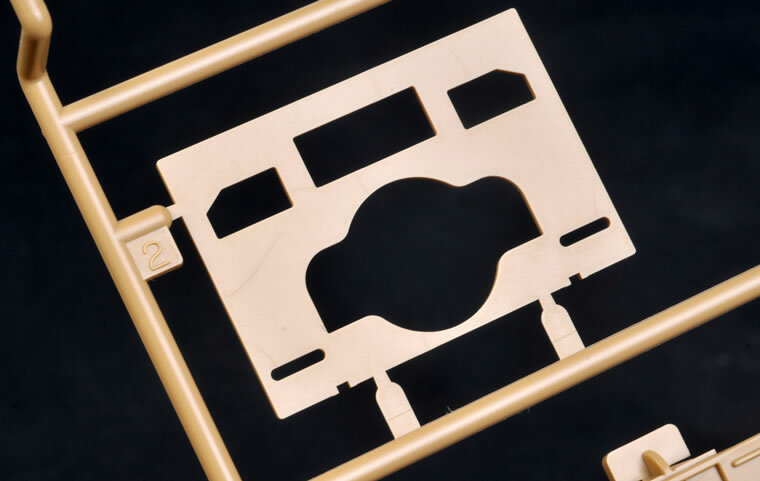 Separate sponson blanking plates will ensure that you won’t suffer from that embarrassing “see through” effect when peering into open hatches. The unique cut-and-shut M51 turret is presented in top and bottom halves. The big weld bead along the bustle cut line is present, and the hatches may be posed open. The large and distinctive muzzle brake is split into four pieces, as is the mantlet cover. The canvas texture is very convincing. Two crew figures are provided for the open turret hatches. Both are wearing WWII-style US tankers’ uniforms and helmets. There are no clear parts. Headlight lenses and vision bocks are moulded in solid coloured plastic. Markings are supplied for three vehicles - two from the Six Day War of 1967 finished in Sand; and one from an unknown unit in 1973 wearing the later shade of Israeli Sand Grey. It is always exciting to find a plain white box with the familiar twin-star logo of Tamiya arriving in the mail. Like many samples, this was unheralded – it just turned up out of the blue. As soon as I saw that it was the M51 I dropped everything to build it straight away. I have always liked this vehicle. In fact, I had bought the MP M51 conversion decades ago, but it will probably remain stashed away forever now that Tamiya’s kit is on the scene. Tamiya’s new 1:35 scale M51 has a lot going for it. 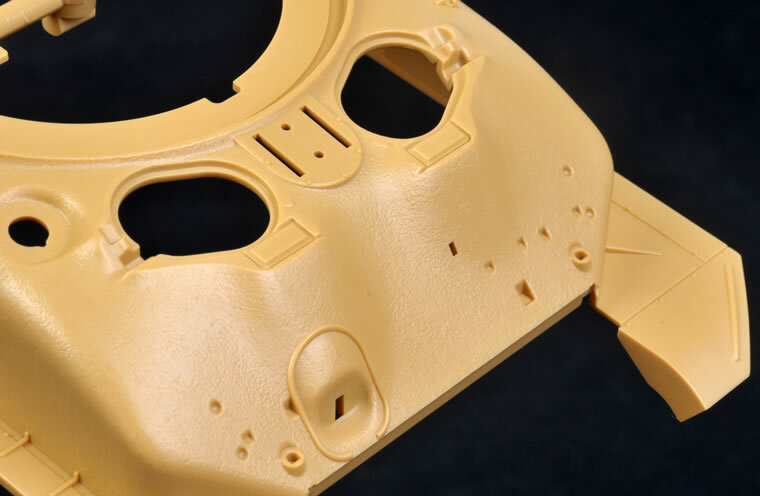 It is the only initial production M51 straight from the box, it is easy to build, detail is excellent and fit is close to perfect. 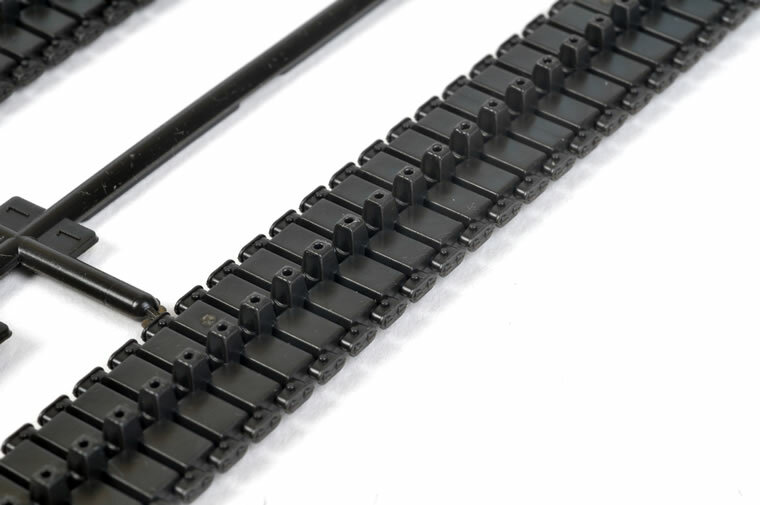 If you don’t like the full-length flexible tracks, there are plenty of aftermarket T80 individual link alternatives available. Similarly, the outdated roof-mounted .50 cal can be replaced with a more modern example. I built this kit over a very enjoyable two-day period. The tarpaulins and other enhancements probably added another half a day, while painting and weathering was the most time consuming element of the project. 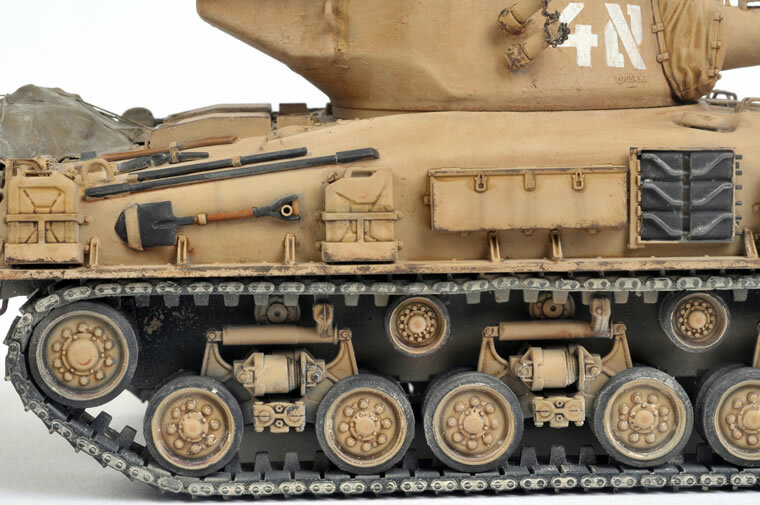 Markings were sourced from an old Verlinden rub-down decals, by the way, and the scheme was inspired by a photo in Steve Zaloga's book “Tank Battles of the Mid-East Wars (1) The Wars of 1948-1973”. The entire process will be described in detail over a 12 page article in Issue 71 of Model Military International magazine. This is another great kit from Tamiya. Israeli armour fans rejoice!